We’re going to Costa Rica!!!! To say we’re excited is a complete understatement! The rainforests, the volcanoes, the waterfalls, the hiking, the beaches – it seems like tropical paradise in every sense of the term! And of course, the former biology teacher in me is completely giddy about experiencing incredible biodiversity there! The kids are so excited about the chance to see so many incredible, exotic animals in their natural habitat too – toucans, howler monkeys, capuchin monkeys, sloths, coatis, macaws, tree frogs, crocodiles, and more! Seriously- look at these photos (all taken from a good friend who just recently visited)! Don’t be fooled by its size! Costa Rica is a tiny country! At approximately 19,700 square miles, it’s only about the size of West Virginia. But don’t be fooled when looking at a map as you plan. There is so much to do in Costa Rica and travel by land is slow. Don’t plan to see every part of Costa Rica in one trip! In order to not spend your entire vacation in the car, considering picking a quadrant of the country and staying there. Same day length all year. Costa Rica is very close to the Equator, so close in fact that days and nights are almost the same length year round. You can expect sunrise just after 5 am and sunset just before 6 pm. So plan your activities accordingly! Bring the essentials. 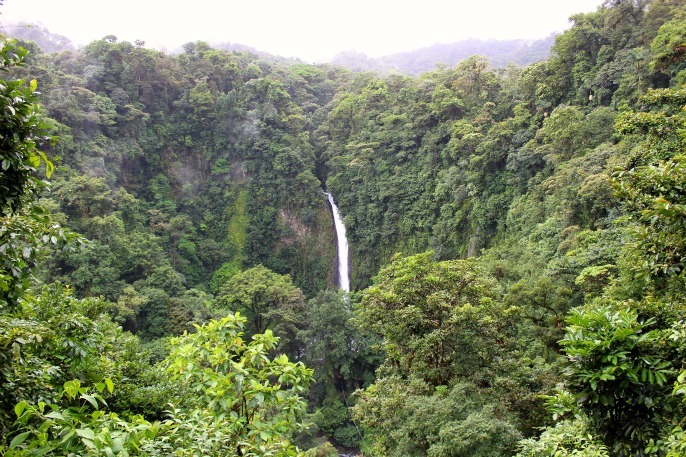 In addition to being so close to the Equator, almost 50% of the country is covered by rainforest. This means 2 things – sun and bugs. Be sure to pack ample sunscreen and bug spray!! There are high import taxes on these items, making them very expensive in country. Be smart about what you pack. In rainforest areas, it can be wet and rainy (imagine that!). And, it can get chilly at night! A rain jacket, long pants, and hiking shoes are smart choices here. However, the beach areas can be almost 100 degrees! So it’s important to bring cool clothing for these areas to avoid getting overheated. Learn a little Spanish. Although English is spoken in tourist areas, make sure that you know a handful of Costa Rican Spanish phrases to help you get to know the locals better. Try to learn these 16 Costa Rican phrases before you go. Safe water. The water in Costa Rica is pure and clean, so there’s no need to buy bottled water (unless you have a sensitive stomach). If you are unsure about the tap water in any location, you can always ask someone. They will give you an honest answer! If you would like to have some bottled water though (or any snacks for your trip), buy them at a local supermarket once you arrive- there’s literally a supermarket on every corner! US Dollars & Colones. Most tourist areas will accept dollars, but you will almost always get a better price if you pay in the local currency of colones. Take a Visa card and use the local ATMs to access colones at the best exchange rate. Many merchants also take credit or debit cards, but be prepared to pay up to 5% transaction fees. Decide on transportation. There are really three main modes of transportation in Costa Rica – bus, car rental, or private shuttle/driver. The buses are cheap and usually on time. But buses make a lot of stops and travel from point A to Point B is slow – plan accordingly. Car rental can be expensive and American-style street directions are non-existent, making a GPS for non-Spanish speaking tourists a must. (GPS are easily rented for a daily fee from car rental companies, but this also increases the cost). Fines for traffic violations are exorbitant, so know the rules. That said, car rental gives you a lot of flexibility in your itinerary. A private shuttle/driver is the ideal way to travel in Costa Rica, but of course, this can become very expensive. So, make sure to do your research to see what will work best for your group, your budget, your itinerary, and your comfort level. Enjoy the local cuisine! Every Costa Rican dish includes white rice, black beans, and a variety of protein and salad. Here’s a traditional Costa Rican picadillo de chayote recipe to give you an idea of what some of the dishes look like! Salsa Lizano is a complement to every meal, but Costa Rican food is not spicy at all. So if spicy is your thing, pack your own Tabasco! Embrace ¡Pura Vida! – Pura Vida means pure life… that everything is good all the time. It’s not just a phrase in Costa Rica; it’s a lifestyle. As much as you plan your itinerary, things happen – traffic is slow, the rain comes down so hard everything stops, or people are late. As soon as you can embrace the laid-back lifestyle of the “pura vida life” you will begin to truly enjoy your time in Costa Rica! Costa Rica is not only one of the happiest countries on Earth, it also has tons of phenomenal biological diversity and it’s super safe to visit. These are just three of the many reasons that millions of people visit every year – and that the main industry is tourism! That also means it’s a great destination for family travel. If you’ll be traveling with littles, be sure to check out this post on visiting Costa Rica with young kids! Those are all great tips! I absolutely cannot wait to experience Pura Vida soon. For this trip, we’ve partnered with Visit Costa Rica and they have put together the most incredible itinerary for us! We can’t wait to share all of the fun with you – so be sure to follow along with the hashtag #CRFamilyFun on Instagram, Twitter, and Facebook! In the meantime, you can enjoy this super fun video (my boys LOVE it)…#SaveTheAmericans. Have YOU ever been to Costa Rica? What are your best travel tips/favorite places? Please share in the comments! 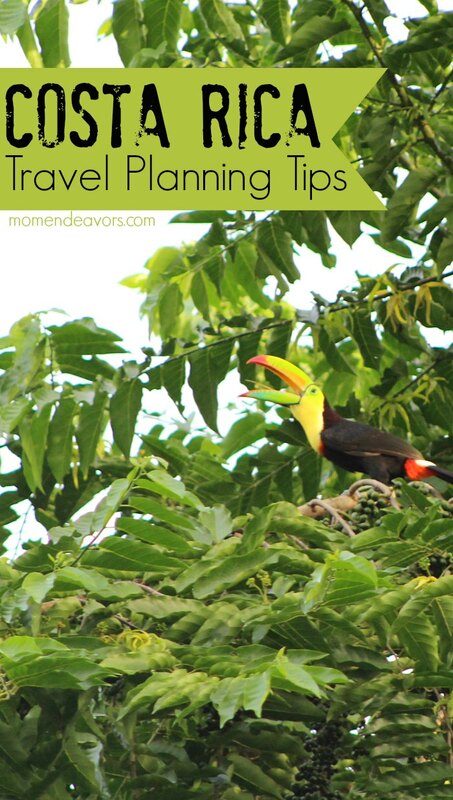 Special thanks again to Christa Jiménez of PuraVidaMoms.com for contributing the awesome Costa Rica travel tips! Be sure to head over to Pura Vida Moms for even more Costa Rica fun!